A company putting their best hoof forward. As the temperatures start to rise and all that winter grid work is put to the test, Incrediwear’s Circulation Exercise Bandages will soon become your best friend. These bandages are basically a 3 in 1 kind of deal, you get protection during your ride, increased circulation and cold therapy to reduce swelling. In terms of specific conditions Incrediwear’s bandages are responsive to can be found on their website! Pretty neat, huh? Incrediwear uses a unique technology that increases circulation. Taking out all the scientific terms, Incrediwear achieves this by using fabric that is infused with elements which are stimulated by body heat. When our horses are working the bandages heat up, causing the elements to aid in the process of bringing more oxygen to the area. 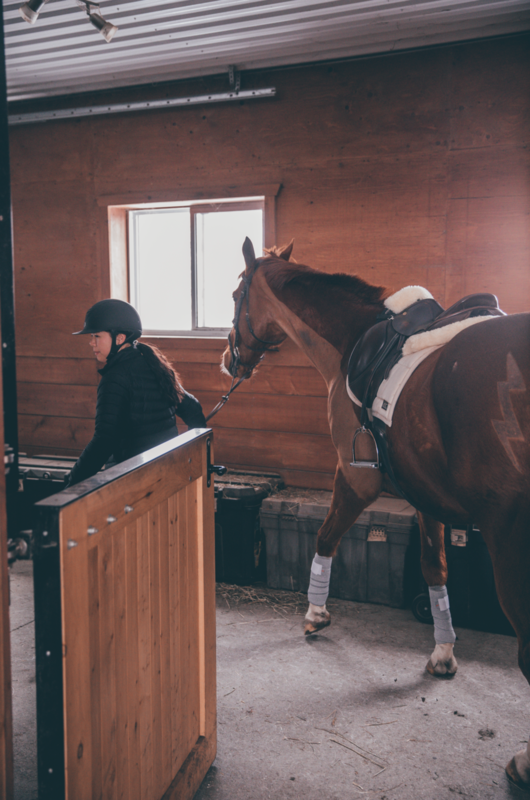 The bandages’ material is very stretchy and because of that you want to make sure that when you wrap your horses legs it’s even. In addition, as you can see in the photos, the bandages are about an inch wider than regular polos. This was a learning curve for me as it was difficult to make the wraps seamless. With some guidance and practice, I got the hang of it in no time! After this ride I didn’t complete the last phase because Lex hardly worked, as he was being silly with the snow falling from the roof, but in the summer months this part will be worked into our normal routine! Now for the last part of the 3 in 1, cold therapy. Once Lex and I are done cooling off after his training ride, I’d soak the bandages, squeezed out the excess water and untacked him. How easy is that? Lex’s legs will get a little extra TLC and cold therapy- without a freezer. I continue with my daily untacking routine and before I know it, 45 minutes were up! I simply remove the bandages from Lex’s legs and put him back in his stall. (Update, I was able to try out the cold therapy, and it really was easy as that. During the summer it would be awesome to soak them and then take Lex out to graze). 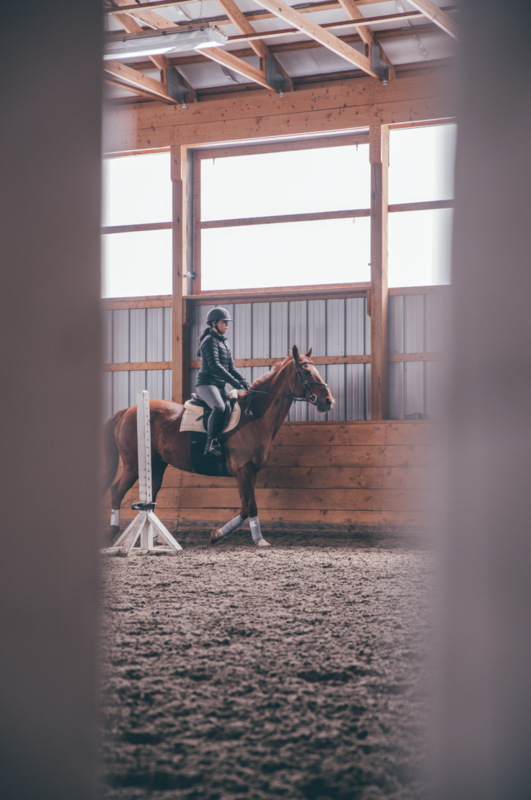 I always try to give Lexington the best of the best, even if it adds time onto my current barn routine or if I have to drastically change something during my barn routine. But, with Incrediwear’s dual technology, I don’t have to worry about changing a thing.